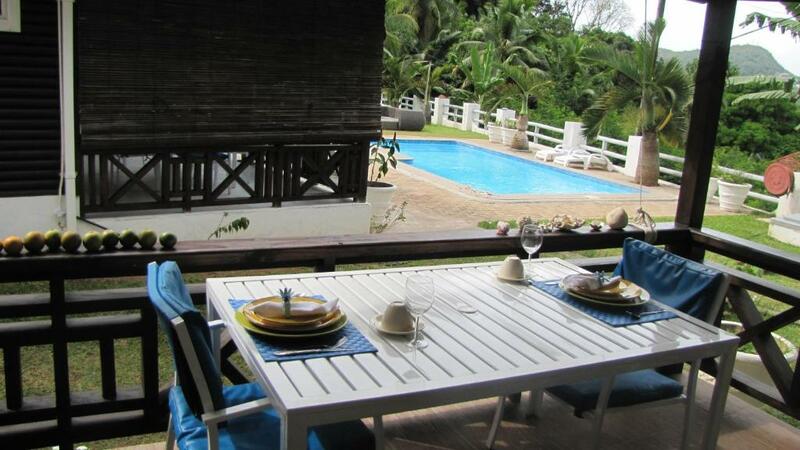 The hospitality of the owner, shs is very kind and flexible, I liked the pool and the landscape green trees. Lise the property owner and her staff were absolutely fantastic, so helpful. We were treated like family. Christopher the driver at the property was really friendly, so informative when it come to the best restaurants and sites to visit, also does airport pickups and drop off. The team at Kokogrove really contributed to our overall experience of Seychelles, we had a wonderful experience. 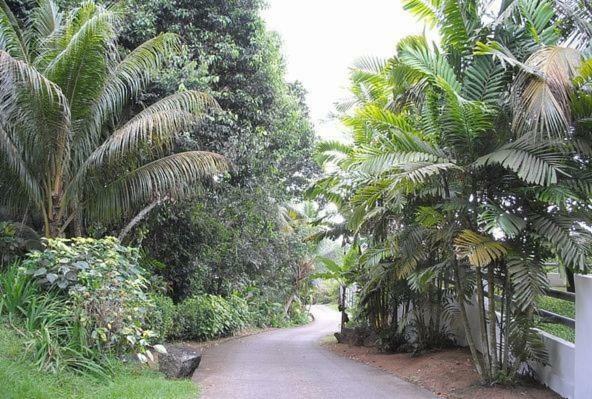 If you want a quite, peaceful time, waking up to sounds of nature, then Kokogrove is the place to go, don’t forget the pool and the sea views from your bolcony. The owner Lise is an amazing person, present twice per day, always willing to help, assisting in every single little request. We were offered fresh tasty banana from the garden on the regular service, and a delicious free dinner (local fish), also a free lift to the restaurant by the beach upon our arrival. the location is great. you do best witha car as the hillis steep but a lot of teopical vegetation and birds flying around. the swimmingpool os clean and pleasant to refresh in, the garden ia very well kept and the host cooked twice for us (offered) freah fish on the bbq: delicious! the chalet is spacious, two rooms with kitchen. The owner of the property is a local, very nice, international woman with good heart. well done! Lise was a very friendly host and her barbecued fish was just delicious! Communication before our arrival went very smooth, she organized a rental car for us that was delivered right to the airport and even figured out some of the terms and conditions upfront (a thing not necessarily self-evident on the Seychelles, as we found out while trying to do get the same information from our host on Praslin..). She also had some great restaurant recommendations, ranging from cheap and good take-aways in town to the best restaurant on the island. The bungalow was spacious and clean and the kitchen was very well-equipped. 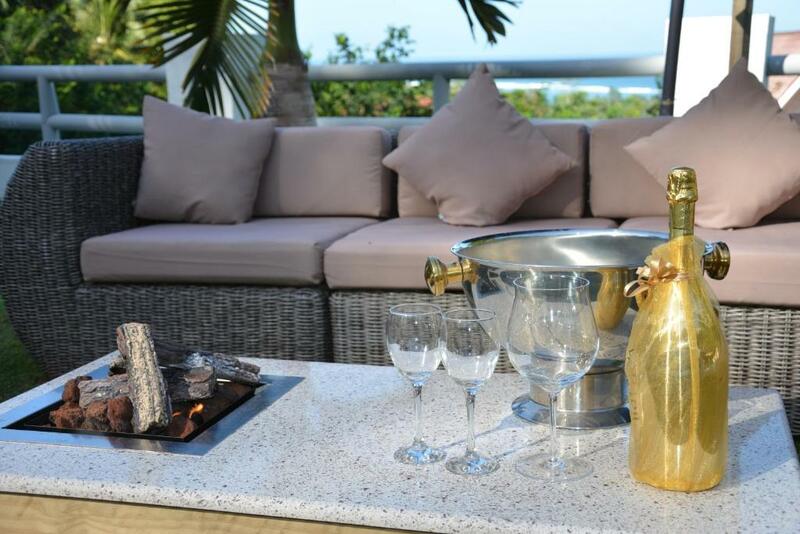 The veranda was perfect to spend the evening outside and you even get a glimpse of the sea from there. Also the open air fireplace and the pool were great to have. We would return any time. Definitely recommended! The challet is large and comfortable. There is a jungle around you, you spend evenings under the stairs. Nice swimmingpool. The owner always takes care about her clients. You can find the spice garden nearby. + Very nice, perfectly equipped and maintained chalets. The whole appartement is beautiful and was perfect for our honeymoon. + We were lucky to meet Lise, the owner. An extremely kind woman which really cared about us and helped us to make the most of our time on the island. She arranged a snorkeling trip for us and gave us advice on the best beaches on Mahe. + Very clean. the chalets are getting cleaned every day from an employee of Lise, the owner. This guy also guards the property and looks out for your stuff. + It is located almost in in the middle of the "jungle". Every evening after coming back from the beach I enjoyed a bath in the pool while watching the flying foxes. Lock in a great price for Kokogrove Chalets – rated 9.3 by recent guests! Kokogrove Chalets This rating is a reflection of how the property compares to the industry standard when it comes to price, facilities and services available. It's based on a self-evaluation by the property. Use this rating to help choose your stay! Located on the island of Mahé, Kokogrove Chalets features wooden self-catering units overlooking the swimming pool and lush garden. 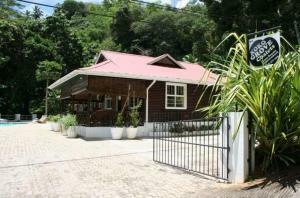 It is nestled on Enfoncement Hill and is within 0.6 mi from the Anse Royale beach. The air-conditioned chalets are decorated in bright colors and offer a patio, satellite TV and seating area. It includes a safe and mosquito net. Each chalet at Kokogrove is equipped with a kitchenette consisting of a refrigerator, toaster and kitchenware. Tea-and-coffee-making facilities are available in each unit. Guests can relax on the sun loungers which surround the pool and enjoy the panoramic views of the garden and Indian Ocean. Laundry and ironing services are available at an additional fee. The Seychelles International Airport is 10 minutes’ drive away and an airport shuttle can be arranged upon request. 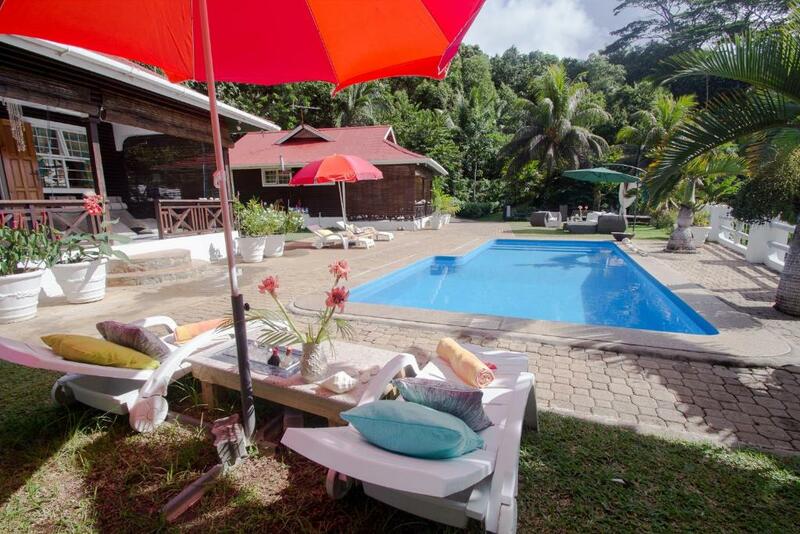 This property also has one of the top-rated locations in Anse Royale! Guests are happier about it compared to other properties in the area. When would you like to stay at Kokogrove Chalets? 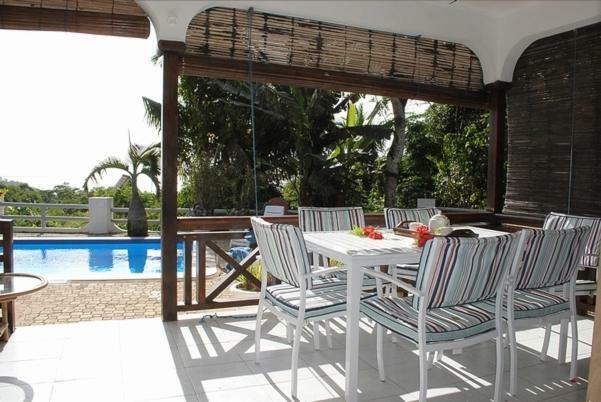 Featuring a furnished patio with views of the sea, garden and pool, this air-conditioned chalet comes with a mosquito net over the bed, small kitchenette and seating area. It includes a satellite TV. 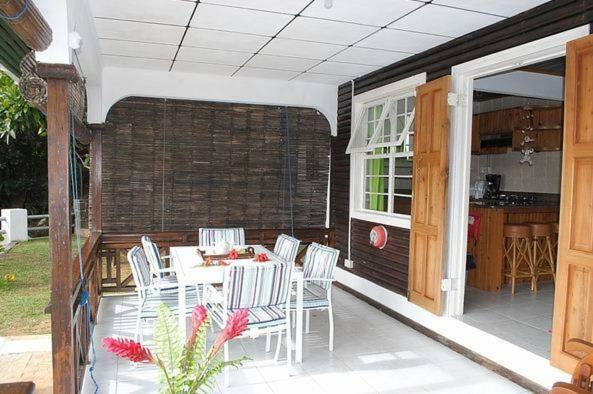 Featuring a large furnished patio with views of the pool, this spacious, air-conditioned chalet is equipped with a living and dining area, mosquito nets and a kitchenette. It includes a satellite TV. With a furnished patio offering views of the swimming pool and garden, this air-conditioned unit has an open plan living and dining area, as well as a kitchenette. House Rules Kokogrove Chalets takes special requests – add in the next step! Kokogrove Chalets accepts these cards and reserves the right to temporarily hold an amount prior to arrival. Both me and my husband did not have any negative experience, our 8 year old son also enjoyed this place a lot. air con was a bit weak but working. parking is small, youneed to be a skilled driver to park and to drive in the island in general. Everything was perfectly fine! I would recommend renting a car, though, as the property is a little up the hill and it will generally facilitate moving across the island. ~ The appartement is really good and centrally located on Mahe (i.e. to reach the beaches in the southwest of Mahe), but it is advisable to have a rental car, otherwise i think, it can take some time to get to the beaches. Lisette is an extremely nice host and we enhoyed our stay. Nice view over the sea and very relaximg atmosphere. We stayed 3 nights based on a recommemdation of a friend and did not regret it one minute. You just need to make sure u have a car and be prepared to drive up a steep road, but supermarket, bank, beaches are sll just a 5-10 minute drive away! The chalet owner Lise was a excellent host. She helped us with local travel information, helped organise tours. She also offered Seychelles cuisine such as Barracuda and bread-fruit. 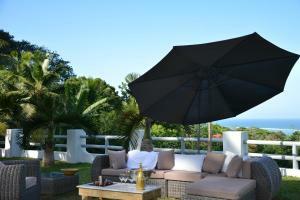 The accommodation had great views of the Indian Ocean and jungle behind with fruit-bats flying over-head. It was a good location for us to travel all over Mahe. Internet network was good but sometimes weak, I think it's provider's problem. You'll get what you pay for! Don't want to spoil our lovely stay with negative comments. Just enjoy your stay and you won't mention the minor details..
We had the smallest chalets, with shutter windows, which was not really soundproof. This is not a problem at all, if you don`t have noisy Spanish neighbors. :) The staff was really helpful to solve this problem. The wifi connection depended also on the neighbors. Once they used skype, we had almost no connection. When they were not there, it was really fast. The water was not really warm, but you can survive this in a 30 degree. Really friendly staff with a warm welcome, nice accommodation and nice pool. Great price-value ratio.